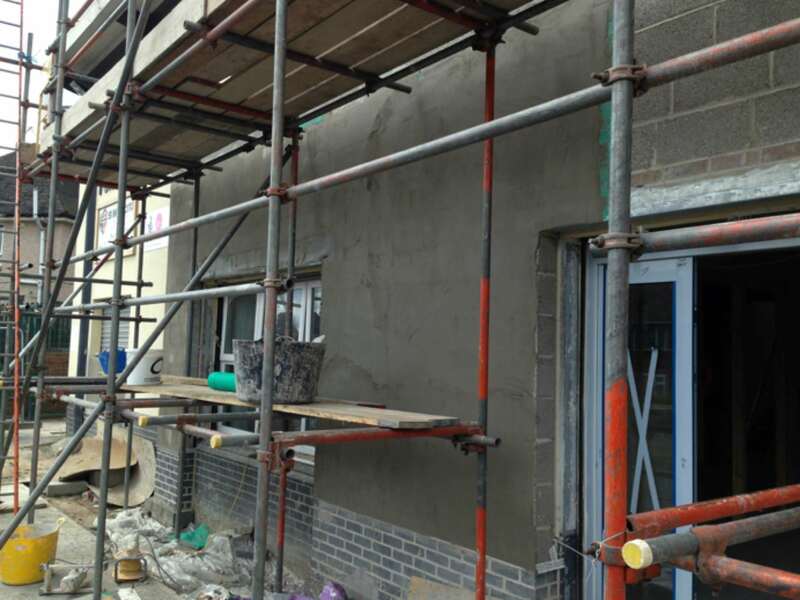 It’s been a busy week on Wolfe Road this week! 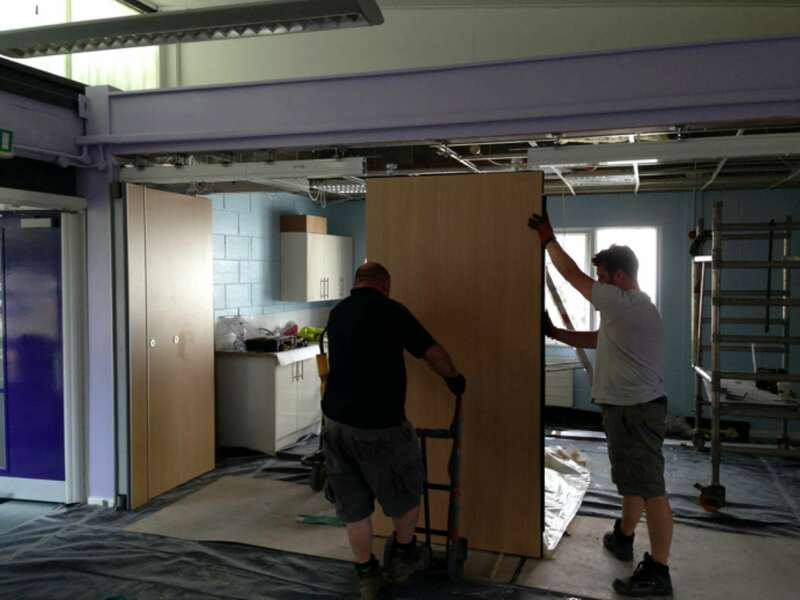 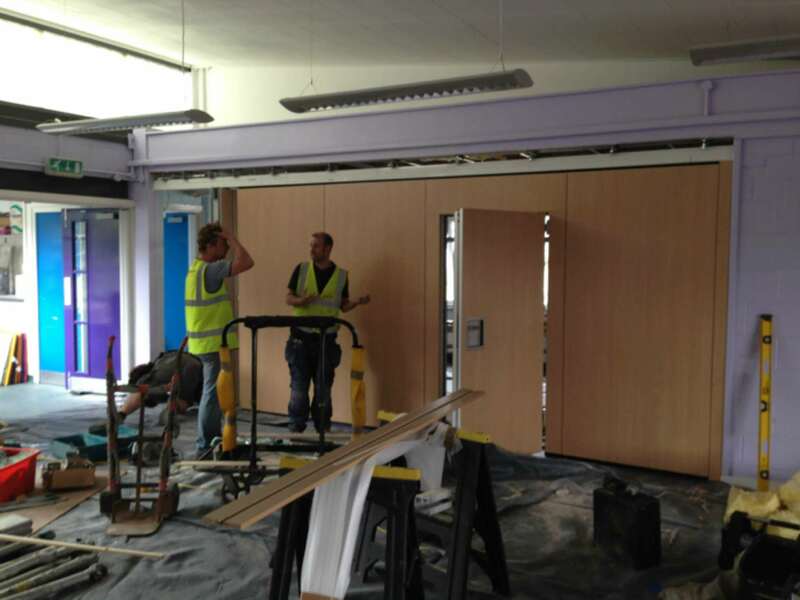 The new sliding partition wall has been installed in the Activity Hall, we think it looks impressive. 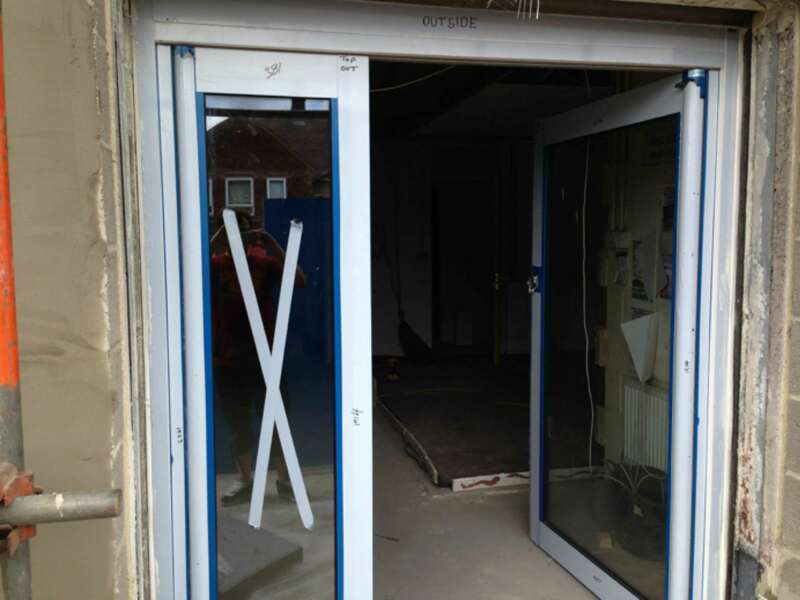 The new front doors are now in pride of place, and the new prominent frontage to the building is taking shape!